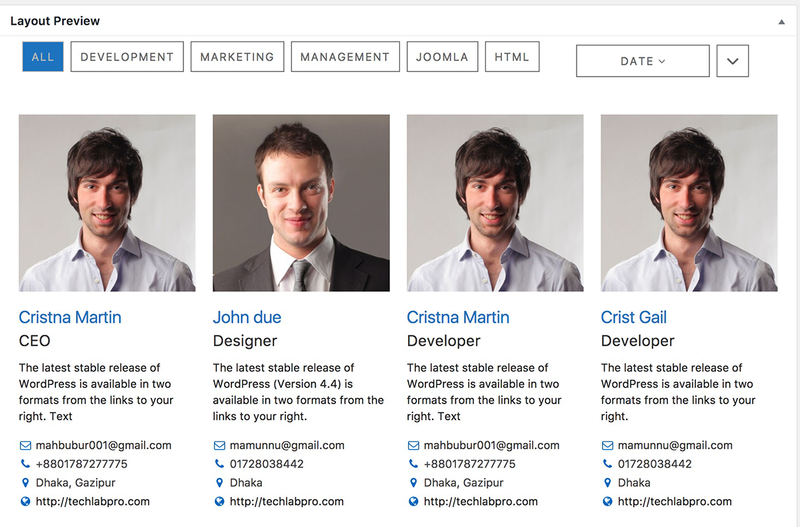 Team plugin for WordPress is a fully Responsive WordPress Team plugin that display your team members. It is full configurable from admin end. I has shortcode and widget included with carousel features and different settings. It has the following fields name, designation, profile image, short bios and detail bios, location, web, email, phone, social links and Skills. 33 Layouts (Grid, Table, Isotope & Carousel). 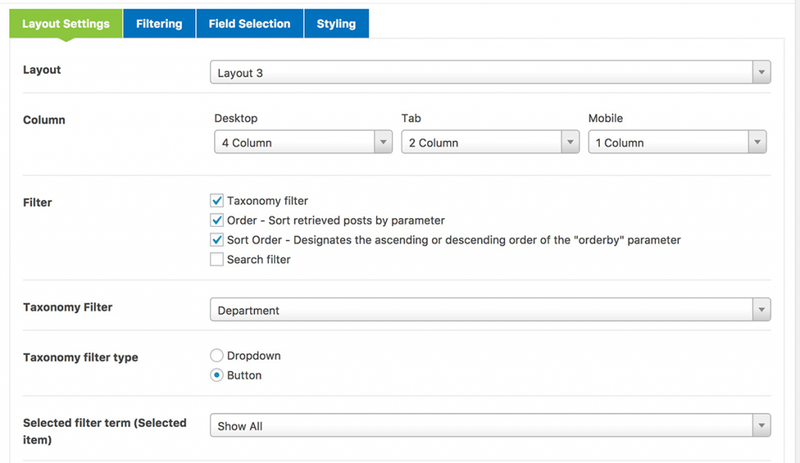 Detail Page Field control (New). All text size, color, text align and weight control. Social icon, color size and background color control. 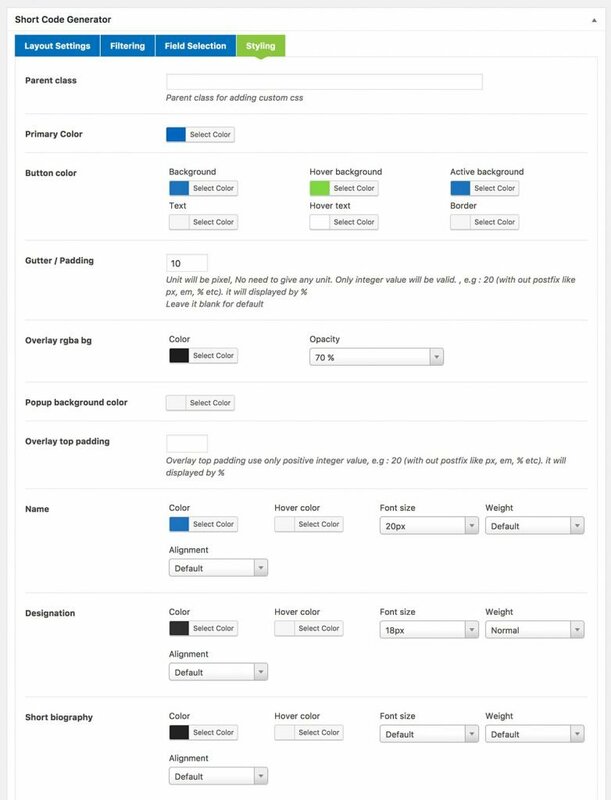 All 14 layouts now can turn as Grid or Filter (New V 2.0). Improve Code & AJAX functionality (New V 2.0). Now Filter as Button or Drop down (New V 2.0). 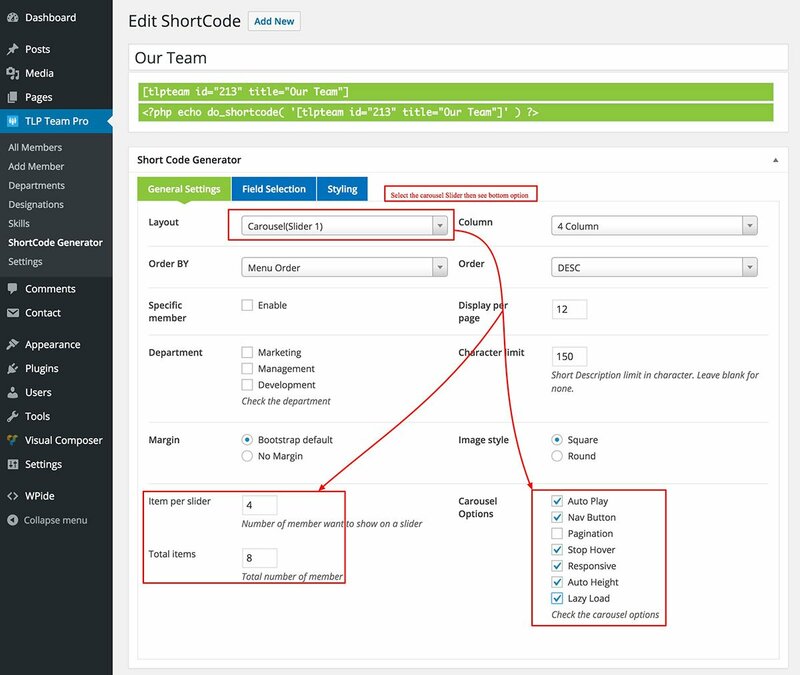 Layout Preview on Shortcode Generator(New V 2.0). Short by & Ordering option (New V 2.0). Gutter or Padding Control (New V 2.0). Search option added (New V 2.0). GrayScale option added (New V 2.0). Category Ordering for Isotope Button (New). All Bottom color Control (New). Detail page with Popup and Next Preview button also normal view. Added additional image for gallery (New). Member Display by Department(s) wise. 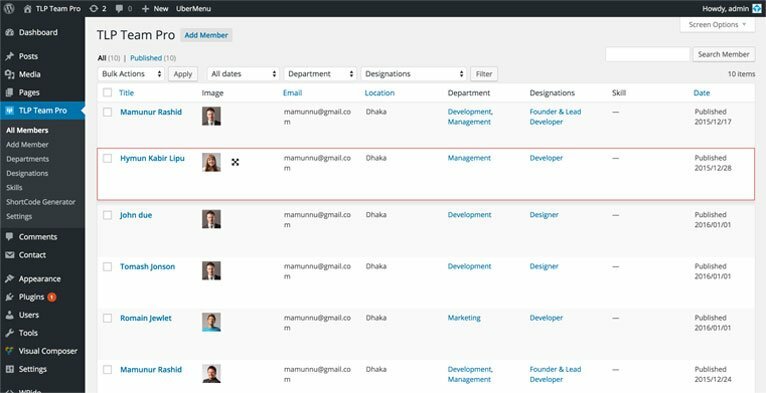 Assign member as user (New). Member Latest post show in detail/popup page (New). Fully Object Oriented (OOP) coding. Filter by Department & Designation (New V 2.0). Dynamic Image Re-size added (New V 2.0). Email & Web add as icon in social button (New V 2.0). Taxonomy Ordering ie Department, Designation added (New V 2.0). Single Popup page color control (New V 2.0). 2 Grids, 2 Isotope & 1 Slider Layout added (New V 2.0). Desktop, Tab & Mobile device display control (New V 2.0). WPML Compatibility added (New V 2.0). All of 33 layouts and widgets are full responsive for all Desktop, Tablet and Mobile Devices. 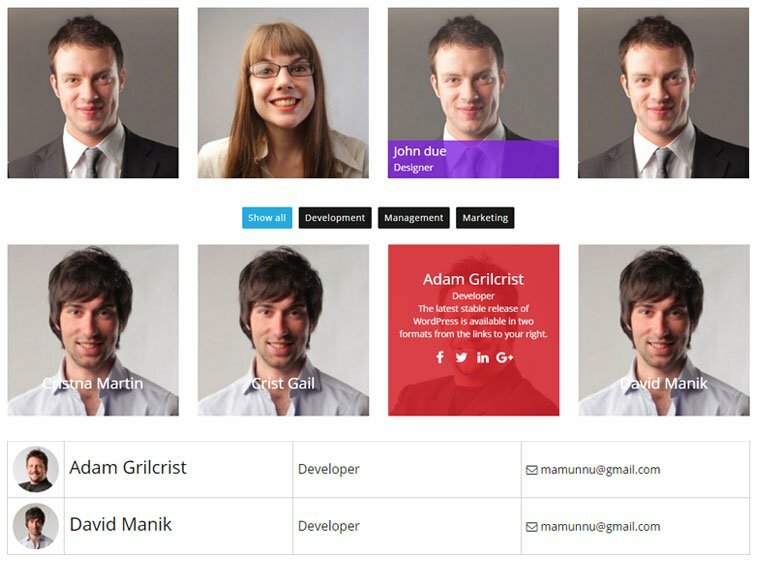 Grid: 14 Grid Layouts you can set Square or Rounded profile image also with default margin or no margin. Table: 1 Table layout you can set Square or Rounded Profile image. 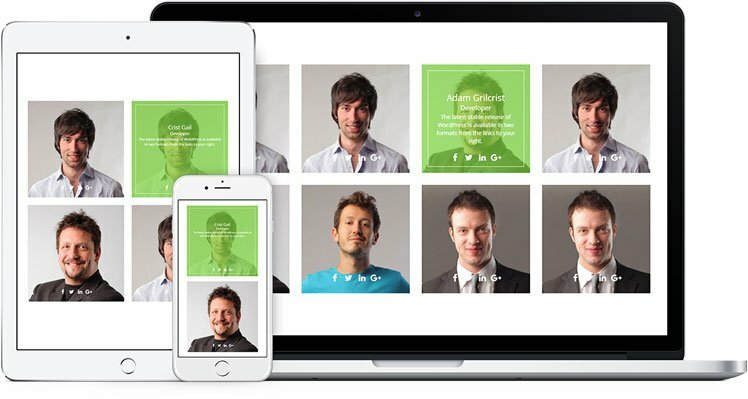 Isotope: 9 Isotope Layouts you can Square or Rounded profile image also with default margin or no margin. Carousel: 9 Carousel Layout you can set with default margin or no margin. 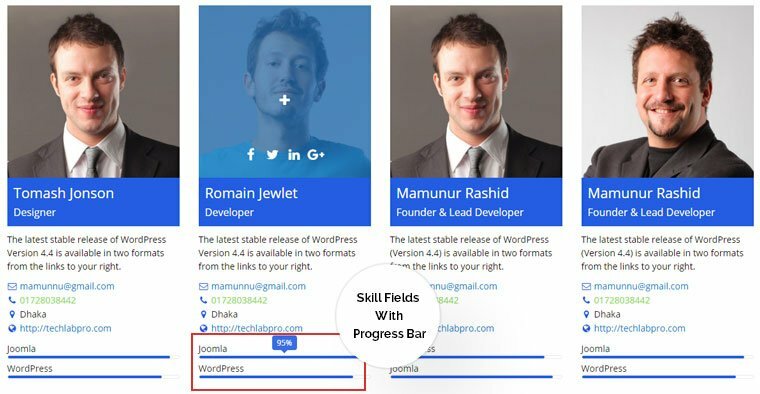 You can control all detail fields check which fields want to show and uncheck which fields don’t want to show. 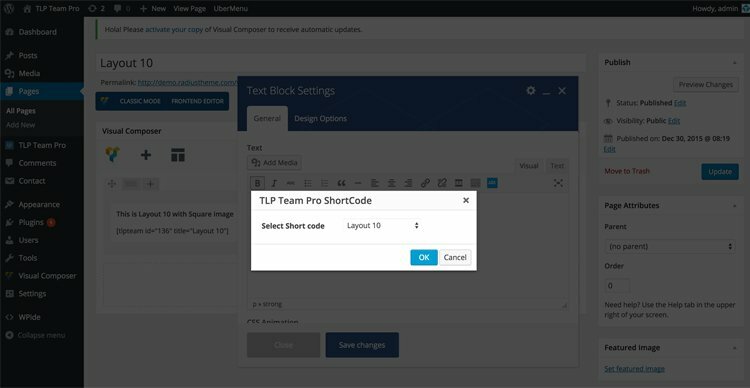 TLP Team is fully compatibility with most popular page builder plugin Visual Composer. 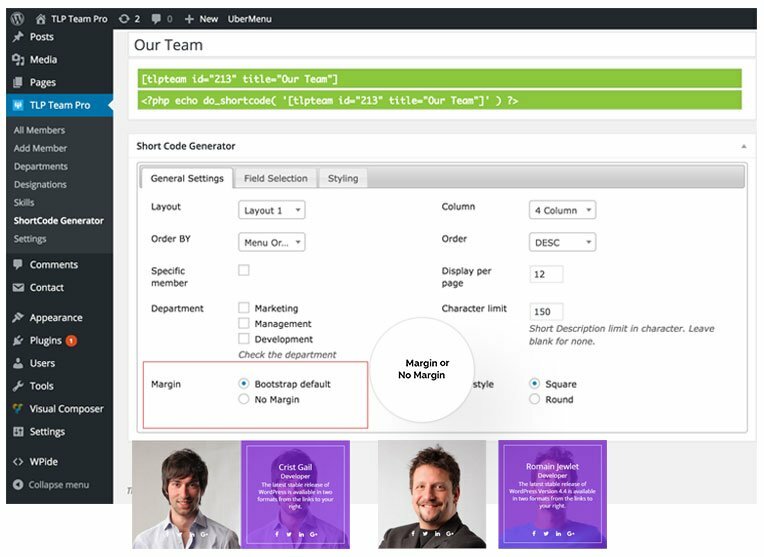 You can set Member Profile image style from ShortCode Generator “General Settings”. 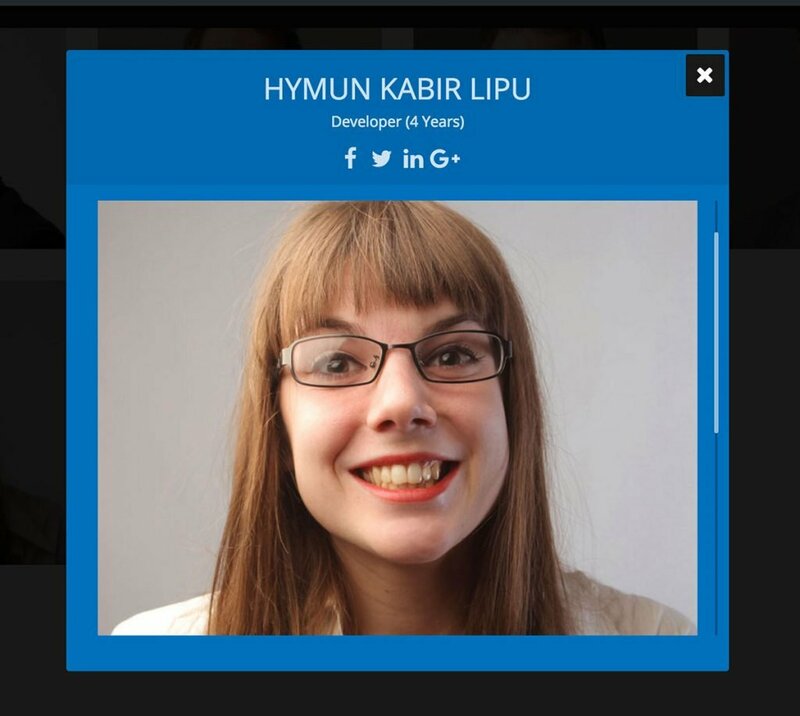 By Default profile image is Square if you want Rounded then select “Rounded” style. You can set each member different skills with Percentage it will show as progress bar with tool tip number. You can set detail page type from main settings menu show detail page as a popup with next preview button control it is also keyboard control next(=>), previous (<=) and close (esc) button. 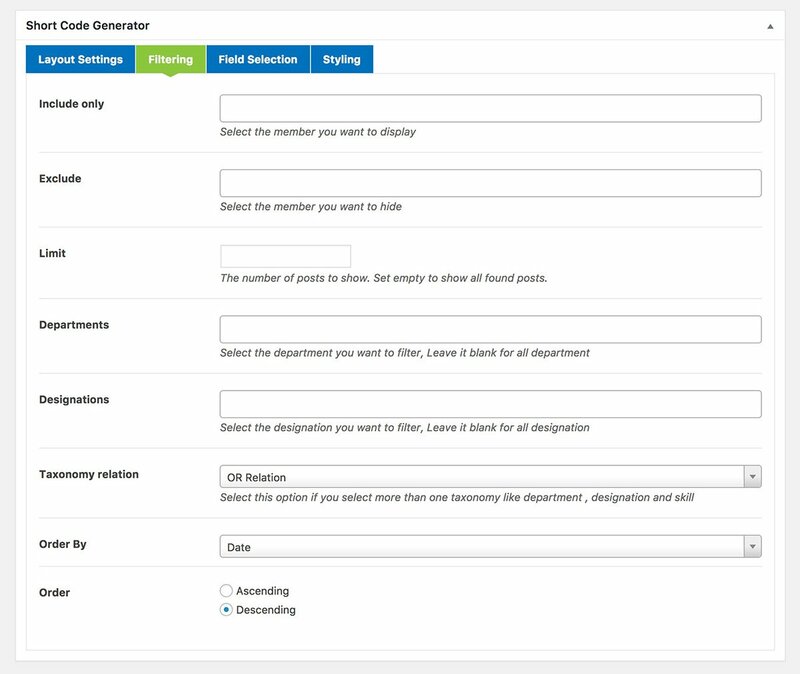 You can set how many members want to show per page from ShortCode “General Settings” Tab. 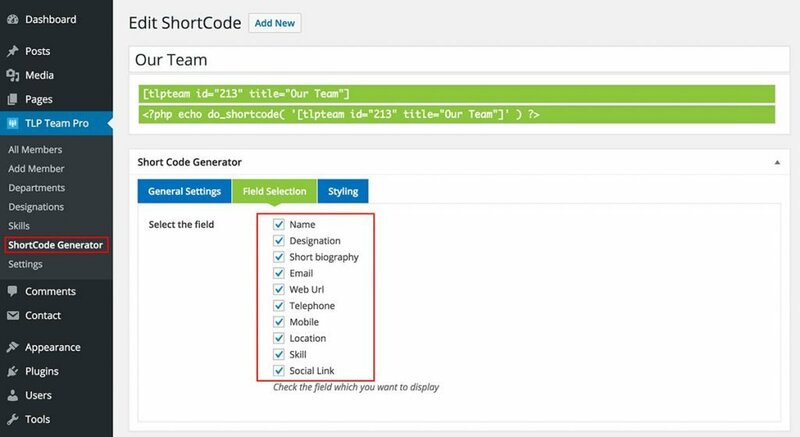 From ShortCode Generator you can filter which member you want. Add additional image for gallery. It display in detail page. From main setting enable the single pop then this option enable. 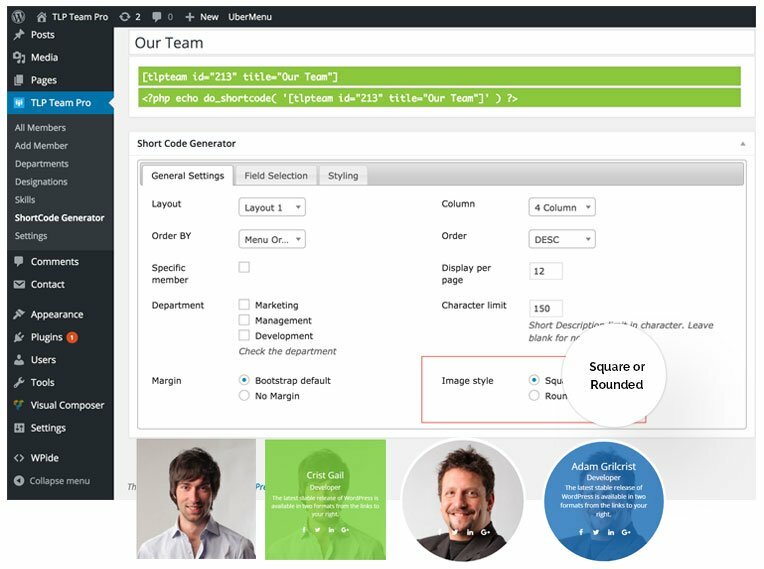 Grid View Layout 2, 3, 4, 7, 8, 9, 10, 11 and 12 all supported Rounded image style. All Carousel Layout support Rounded style. Now you can control how many show in Desktop, Tablet & Mobile. Now you can select profile image will be gray scale. 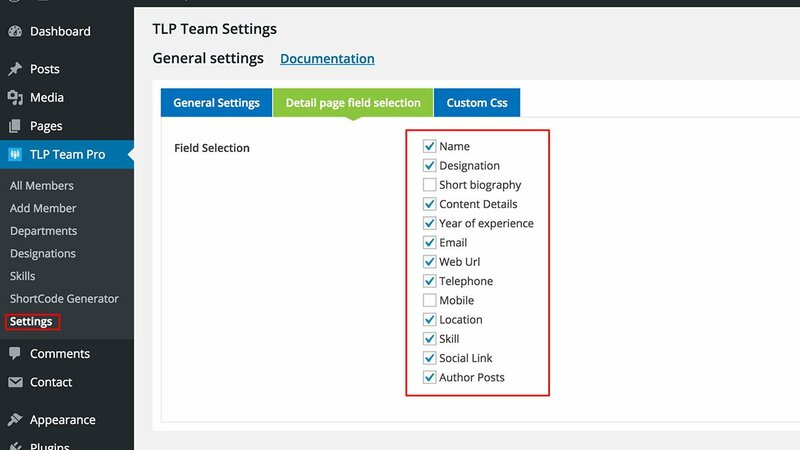 You can select filter by Designation or Department also can control as Button or Dropdown. First De-active TLP Team Pro from admin end the delete it (Noted: No data will lost). 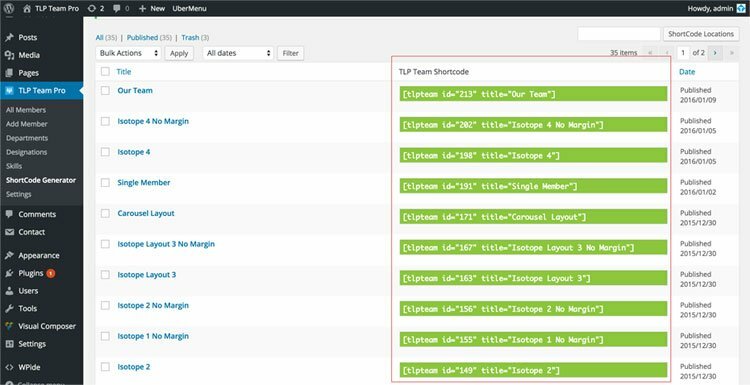 By FTP you can delete the plugin/tlp-team-pro folder then re-upload the new version after that please De-active and Active the plugin. Improve: License save and active by one click. Add: New 1 Layout for Grid, Filter & isotope. 1) Fixed search Filter option added all others fields in search. 1) Fixed 5 columns issue. 3) Link Type issue fixed. 2) Add option to disable profile image. 1) Fix Isotope 2 Designation display issue. 3) Bug Fix: Multi Popup, Language issue & Deprecated function Fixed. All 14 layouts now can turn as Grid or Filter. 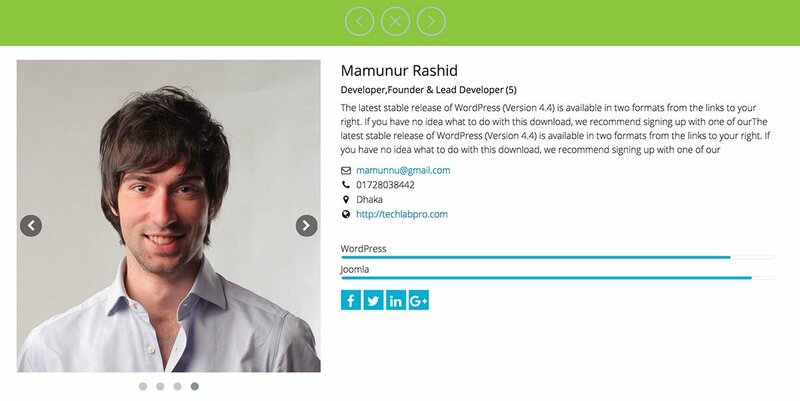 Improve Code & AJAX functionality. Now Filter as Button or Drop down. Layout Preview on Shortcode Generator. Short by & Ordering option. Filter by Department & Designation. Email & Web add as icon in social button. Taxonomy Ordering ie Department, Designation added. 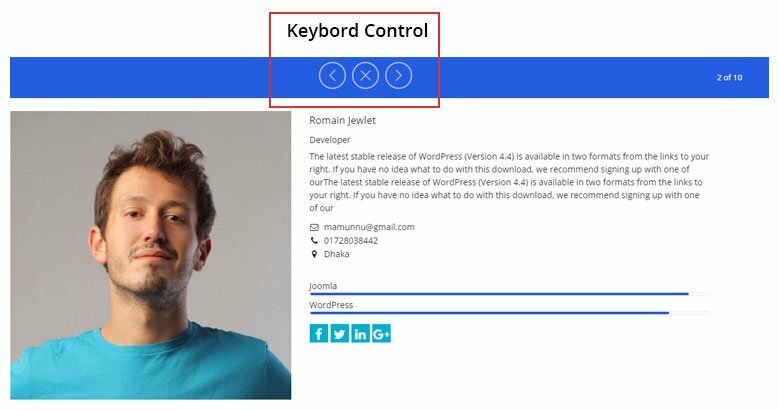 Single Popup page color control. 2 Grids, 2 Isotope & 1 Slider Layout added. Desktop, Tab & Mobile device display control.